Wouldn't this be the ultimate Christmas present? This sweet skateboard has been signed by a bunch of awesome celebrities and is being auctioned off on eBay. The program is dedicated to restoring instrumental music education in America's public schools, and raising awareness about the importance of music as part of each child's complete education. And guess what, 100% of the proceeds for this auction will go to the VH1 Save the Music Foundation! Now that's a gift that gives back!! The current bid is at $127.49 and the auction ends in about a day, so if you want this skateboard you better get a move on! You can view the auction here. 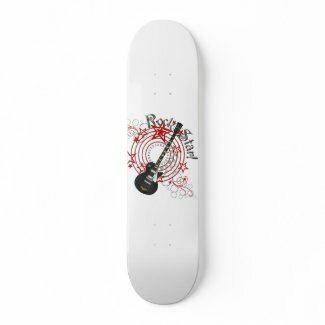 And if you like the skateboard but don't care for all the celeb signatures, you can purchase the board on Zazzle!